Seasonal Soy Lotion Candle, 3.5 oz. 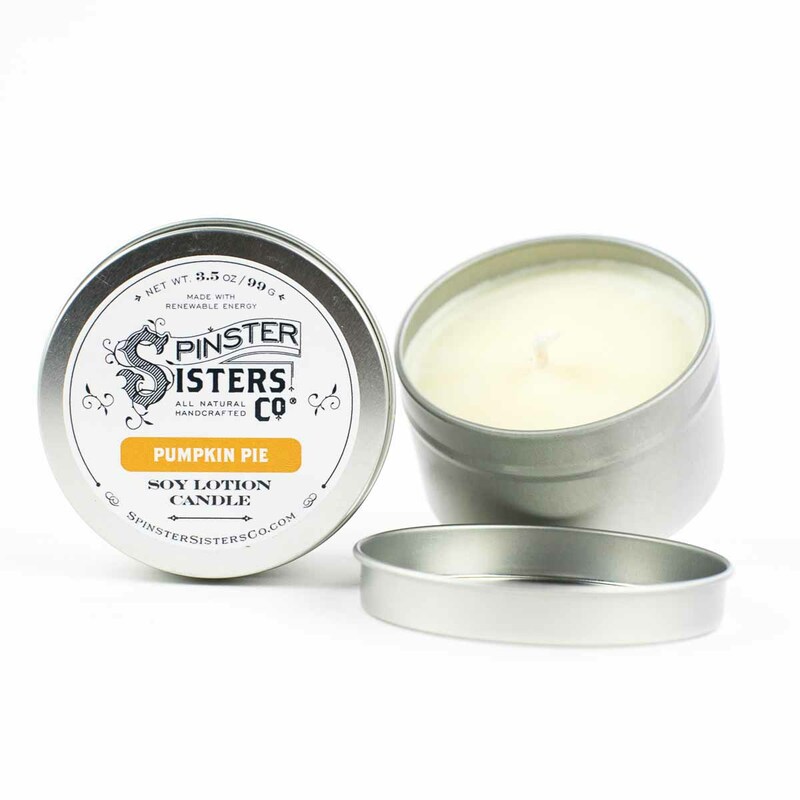 | Soy Lotion Candles | Spinster Sisters Co.
Home > All Products > Seasonal Soy Lotion Candle, 3.5 oz. Our Seasonal Soy Lotion Candles feature limited-edition scents that aren't sold year-round. Not only do they smell divine, they are excellent for aromatherapy and massage. 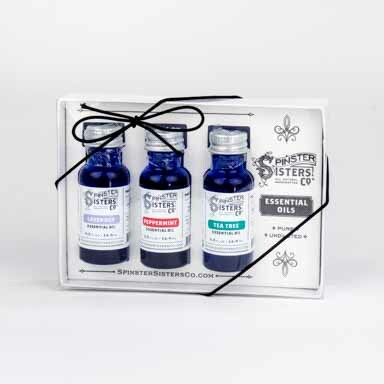 They are made with super-hydrator jojoba oil as well as shea and cocoa butters. 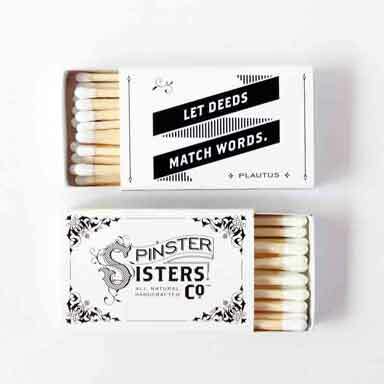 Not only do they add an enchanting smell to the room, but they also leave your skin soft and luminous. 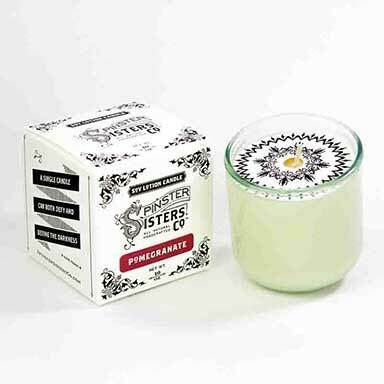 These Soy Lotion Candles are sure to relieve all your stress. 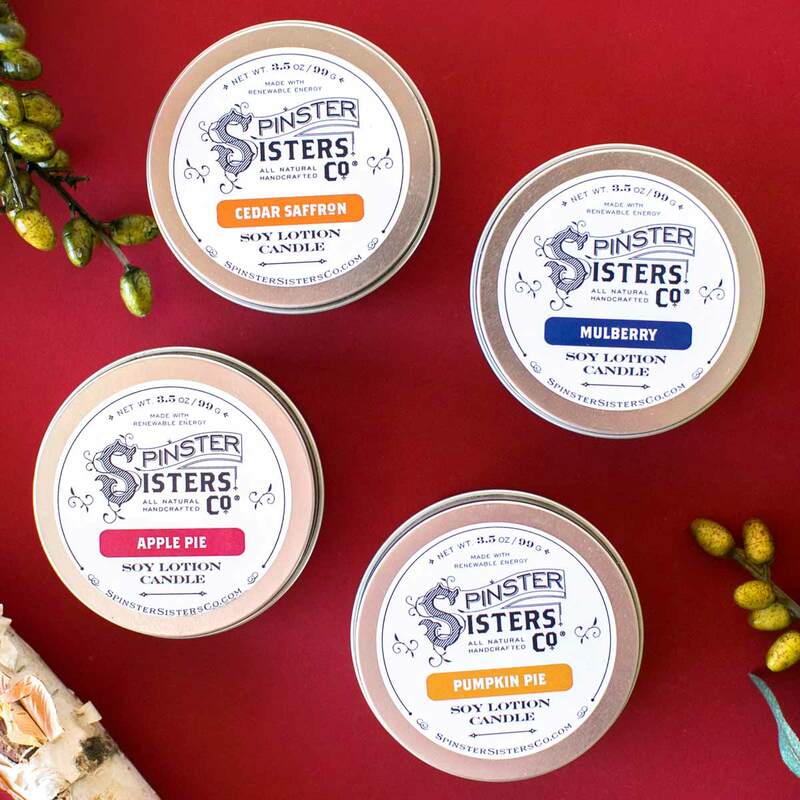 Q: The apple pie and pumpkin pie scents- wondering what specific EO/FO are used, if vanilla is in either specifically? The Apple Pie is actually an extract, not an essential oil, and is 100% natural. The Pumpkin Pie is a fragrance oil. Hope that helps. Thanks for reaching out! 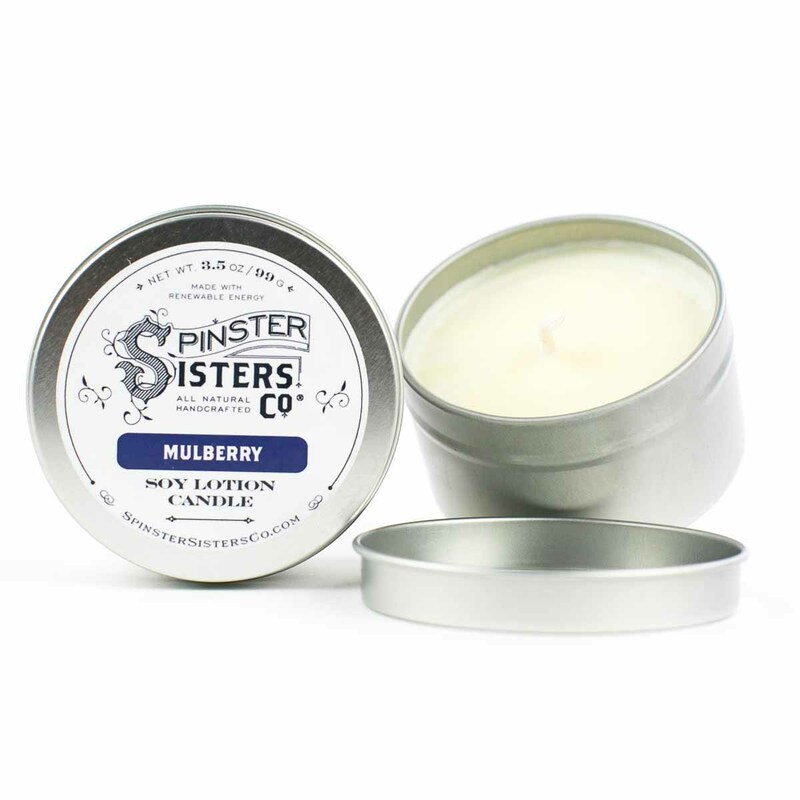 Light a Soy Lotion Candle and breathe in the relaxing and evocative aromas. When the desired amount of oils are melted blow out the flame. Gently rub the oils on your skin for a delightful massage. We recommend using Soy Lotion Candles after baths or showers, especially in the winter. Pro Tip: Allow the top surface of the candle to completely melt before using oil. This will help the candle burn evenly.